Mark’s expressive trumpet playing evokes memories of jazz greats like Clifford Brown and Chet Baker. A musician of many talents who can express himself vocally as well as instrumentally. How can one musician have so much going for him? Mark can play guitar, he gets around the soprano sax with great skill, his trumpet playing is sublime, and if that weren’t enough, he sings like a dream. Ethel Kennedy's Annual RFK Golf Tournament, hosted by Robert F Kennedy Center for Justice and Human Rights. This included an annual performance with the band by comedian and “sometimes” vocalist Bill Murray. The Cape Cod Music Festival held at the Wequassett Resort in Chatham has featured the Mark Greel Band as the only act that has performed every season of the festival since it’s start 11 years ago. Four Seasons Hotel, Boston, for their premier New Years Eve party for the past 5 years in a row. Selected as the Band for many of Boston’s top hotel Catering director’s personal weddings, which includes The Boston Harbor Hotel, The Four Seasons Hotel, Copley Plaza Hotel and The Charles Hotel. The Mark Greel Band has toured Germany and Austria. Where they performed at the well known Biershohof Hotel and Nachtcafe in Munich. This was followed by a New Year’s Eve performance in Kitsbul, Austria for the Austrian chancellor. Mark has continued to take his music abroad. Which has included concert tours of Mainland China and Italy. The 2-month tour of China represented the first time an American band of this type had been invited to tour China. During Nelson Mandela’s triumphant return to Boston, Mark was invited with vocalist Larry Watson, to be a featured performer before his speech at the Hatch Shell. Mark attended Natick high school and the New England Conservatory extension school in Boston and was chosen as first chair trumpet for the All-State Bicentennial orchestra, which performed and recorded in Symphony Hall, Boston, under the direction of Boston symphony concertmaster, Max Hobart. He was also selected as lead trumpet and soloist for the Bicentennial Jazz Orchestra, which performed and recorded in Symphony Hall, Boston, under the direction of the world-renowned Jazz educator Herb Pomeroy. Mark was chosen to tour and perform for 3 years as a soloist with the 79th US Military Show Band stationed in Panama Canal Zone, Central America. This tour included performances in every country in Central and South America, as well as numerous radio and national television appearances and a private performance for President Jimmy Carter. After his military service mark attended the Berklee School of Music in Boston, as a scholarship student, majoring in arranging and composition. He was also a recipient of The Lee Berk Award for Outstanding Academics and Instrumental virtuosity. Mark was a featured Trumpet, Flugelhorn and Flute soloist on nationally renowned jazz vocalist Rebecca Paris' debut recording "A Passionate Fling”. In addition to many radio and television jingle recordings, Mark's vocal version of "It Had To Be You" was chosen by BayBanks of New England for a long running radio and television advertising campaign. 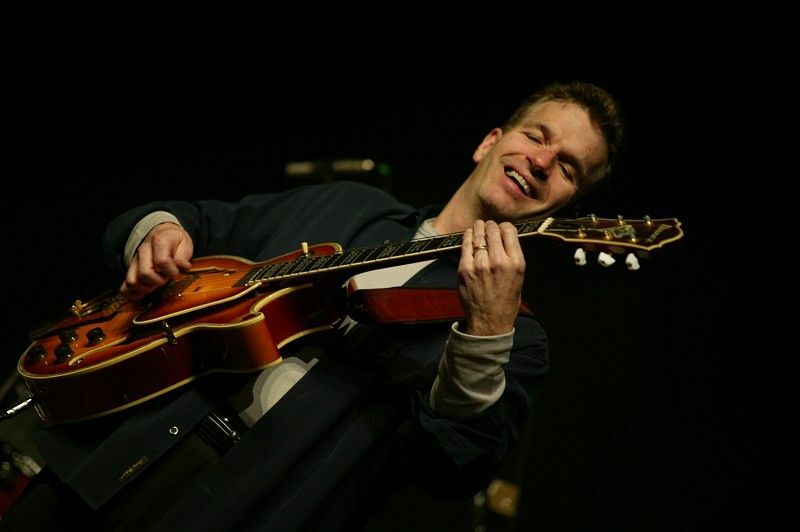 Mark’s first CD entitled, “What’ll I DO” featured the music of Miles Davis, Chet Baker and some of Mark’s original compositions and Jazz Vocal stylings. A recently completed 2nd CD was recorded in Los Angeles, CA. Which features the “cream of the crop” of LA studio and film musicians. This recording includes songs of Paul Simon, James Taylor, Bobby Caldwell to name a few. Entertainment director for the Odyssey cruise boat in Boston, MA for 10 years. Mark continues to tour internationally as a performer and clinician. Several trips yearly include teaching engagements in Lugano Switzerland and Italy as well as numerous concert performances.